Since September 2016, Trigano has opted for a dualist type of management and administration of the company by setting up an Executive Board and a Supervisory Board. This social form allows a clear separation between the management of the company handled by the Executive Board, and the control of this board by the Supervisory Board. This choice of governance enables to dispose of a reactive, efficient and multidisciplinary management, acting in the respect of the Supervisory Board’s prerogatives, whose composition guarantees independence of control, balance of powers and also gender parity. 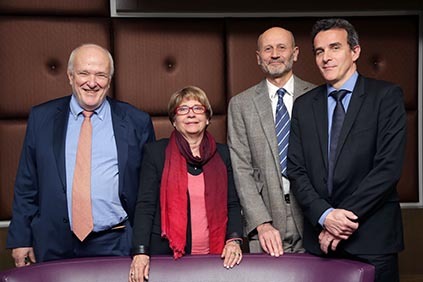 69, majority shareholder, French business school graduate (HEC), has headed Trigano since 1981 following a career in auditing (KPMG), and in financial management and general management (Singer Group and Compagnie Française du Meuble). 69, French business school graduate (HECJF), joined Trigano in 1994 after a career in banking with Banque Populaire group. 60, Pisa University in nuclear engineering graduate, joined Trigano in 2008 after a career at Breda Costruzioni Ferroviarie and Electrolux group. 57, French business school graduate (EDHEC), with a background in public accountancy, joined Trigano in 1988, after starting his career in auditing (Ernst & Young).